A Ben Stiller comedy has been given a new title to avoid it being linked to the controversial shooting of an unarmed teenager in Florida. Neighborhood Watch had already had promotional material pulled following the death of Trayvon Martin, who was killed by a Neighborhood Watch volunteer. The film, which also stars Vince Vaughn, will now be called The Watch. Fox Studios said the film was in no way connected to the shooting in February. "As the subject matter of this alien invasion comedy bears no relation whatsoever to the recent tragic events in Florida, the studio altered the title to avoid any accidental or unintended misimpression that it might," it said in a statement. 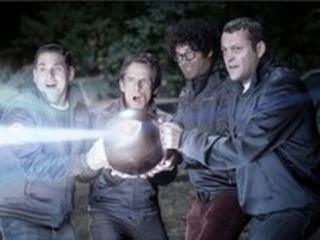 In the film, a group of fathers band together to fight extra-terrestrials. George Zimmerman has been charged with the second-degree murder of 17-year-old Trayvon Martin, who died while walking through the gated community of Sanford. He says he acted in self-defence on the night the teenager died, opening fire after coming under physical attack, and was only arrested and charged seven weeks after the killing.